Last night brought us some semi interesting newsy stuff. Throughout Sunday, several teams were announced to be off Ohtani's list of potential destinations. Among the list of teams no longer in the running for Ohtani's services was sadly, the Jays but hilariously, the Yankees and Red Sox. 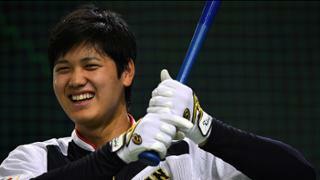 Shohei Ohtani is considering only these teams: Dodgers, Angels, Padres, Giants, Mariners, Rangers and Cubs. There are NO other teams that are still in it according to sources. Seven teams left who will get interviews, Dodgers, Angels, Padres, Giants, Mariners, Cubs and Rangers (barf). Place your bets folks, this may happen sooner than later and with the Jays out of it, we can just sit back and enjoy those deliciously salty tears. Should we hope Rogers sells the Blue Jays?